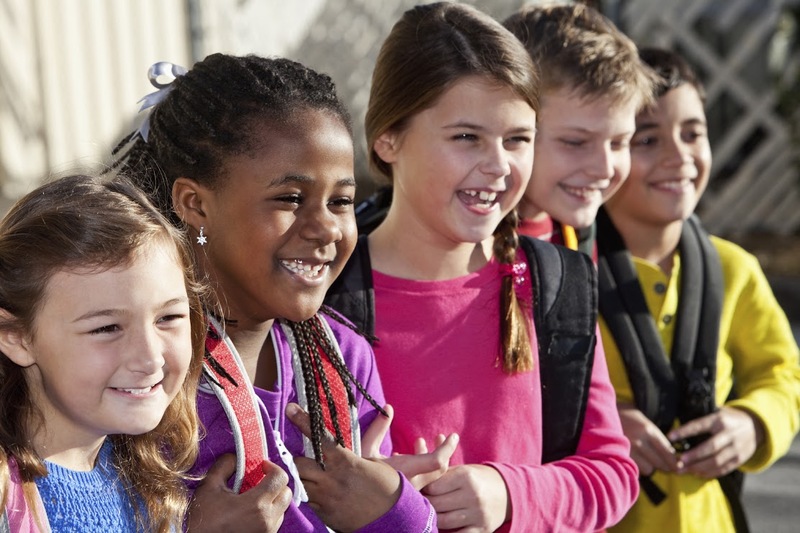 HRCF Welcoming Schools is grounded in data that connects the project’s approach with a safer school climate, and improved academic success and emotional well-being. Twelve schools in five districts in California, Massachusetts and Minnesota participated in a three-year mixed-method evaluation incorporating both an in-depth process evaluation (with qualitative components) and a traditional outcome evaluation (with quantitative components.) The majority of the participating schools are urban and have student populations that are diverse in terms of race, economic status and family structure. Almost 60 percent of educators indicated that their school’s climate improved. Teachers’ concerns regarding lack of training or resources declined from 54 percent to 30 percent. Only 28 percent of teachers feared parent/guardian resistance, reduced from 52 percent. More educators understand that youth of every age can benefit from discussing gender roles/expression and families with LGBTQ family members. After beginning the HRC Welcoming Schools approach, more educators intend to address topics like families with LGBTQ parents and gender roles/expression in their classrooms and schools. Every school in the pilot program reported a positive difference in seeing that students of every age benefit from classroom discussions about gender roles and expression and families with LGBTQ parents. Educators viewed HRCF Welcoming Schools’ lesson plans as a positive way of preparing students for middle school. One educator explained, “If you are not explicit, you will not prepare [students] for middle school [where] victimization, raging hormones, and bigger kids all come into play and kids can get seriously hurt, whether physical or emotions (sic)”. All schools in the pilot program reported a significant change in positive intentions to address all forms of diversity with students, including gender and LGBTQ parents. Aside from in-school training for faculty and staff, HRCF Welcoming Schools, with school leaders, held community meetings with families, local clergy and other community members, which established and deepened trust between families and schools. These events reduced the fear of familial dissatisfaction and objections based on religious teachings when discussing LGBTQ topics. Easy to integrate with ongoing curricula and standards. The initial school climate affects project implementation and should be assessed carefully when beginning the program. Families and other community members need to be involved in learning about and understanding HRC Welcoming Schools and its core messages of respect and inclusivity. Keeping all members of the school community engaged should be an ongoing process. Educators need professional development and support to address unfamiliar topics or topics that create concerns about controversy. The evaluation documented educator perceptions of the need for LGBTQ-inclusive materials, resources, and professional development in their schools. It also revealed differences in school climates and school personnel’s comfort in addressing all aspects of diversity with all school members. Ultimately, the evaluation provided compelling evidence that HRC Welcoming Schools is making a difference in children’s lives and the lives of their families and communities. Dr. Laura Szalacha from the University of Illinois at Chicago coordinated the evaluation and conducted the quantitative components. Qualitative evaluation was conducted by a team headed by Dr. Peter Goldblum at the Pacific Graduate School of Psychology, a team headed by Dr. Suzanne Pasch from Wheelock College, and Sheila Moriarty, M.A.